For me, it was only after repeated hearings of all three of these quartets that I came to appreciate not only their formal coherency, but this amazingly new and beautiful style of string quartet composition that truly changed the way string quartets were written. What is most striking about these three “Razumovsky Quartets” is a great “symphonic” seriousness Beethoven brings to these remarkable works. Gone are the days of the string quartet composed simply as light background music for social gatherings. These works truly sound like symphonies for string quartet. They are grand in conception, and about ten to fifteen minutes longer than the Op. 18 string quartets, lasting about forty minutes to perform each quartet. They are serious works with amazingly original and beautiful musical ideas, incredibly varied and rich tone color, and a deep and penetrating sadness in the slow movements. While Beethoven’s late quartets are often lauded as some of the greatest and most exalted music ever written, I would have to put the three “Razumovsky Quartets” at least as their equal if not their superior, with the exception of the astounding “String Quartet in C-Sharp Minor,” Op. 131. I feel the “Razumovsky Quartets” have better balance and formal coherency overall than some of Beethoven’s late quartets. While the Op. 130 quartet has some wonderfully transcendent moments and individual movements, as in the “Cavatina” slow movement, I do not feel the piece as a whole works as well as any of the “Razumovsky Quartets,” or the Op. 135 in F Major – the last string quartet Beethoven completed and the last complete work he composed in his life. Shortly after Beethoven had completed his groundbreaking “Symphony No. 3,” Op. 55, the “Eroica” or “Heroic” Symphony as Beethoven later entitled it after rescinding his “Bonaparte” dedication, he was commissioned by Count Andrey Razumovsky (pictured above), the Russian Tsar’s diplomatic representative to the Hapsburg court in Vienna, to compose three new string quartets, which came to be known as Beethoven’s “Razumovsky Quartets,” Op. 59. 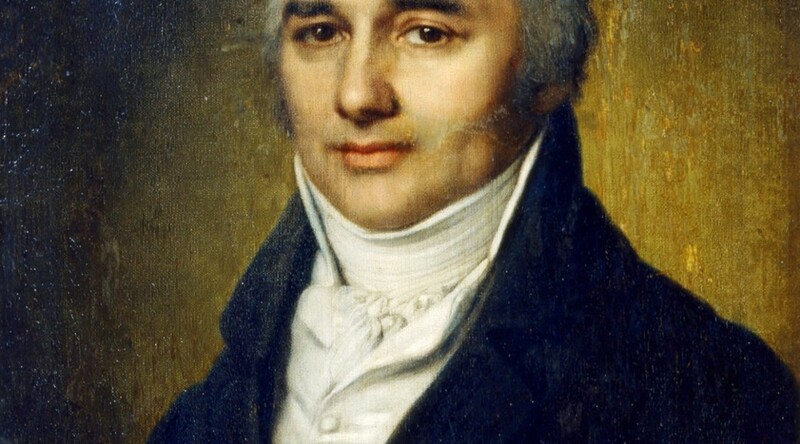 Count Razumovsky was the brother-in-law of one of Beethoven’s other patrons – Prince Joseph Franz von Lobkowitz, who had commissioned Beethoven’s first set of six string quartets, Op. 18, and to whom Beethoven also dedicated his third, fifth, and sixth symphonies, his “Harp” “String Quartet No. 10 in E-flat major,” Op. 74, the “Triple Concerto in C major,” for violin, cello, and piano, Op. 56, and the song cycle, “An die ferne Geliebte,” Op. 98. The “Razumovsky Quartets” were written between April and November of 1806, around the same time Beethoven was composing his “Fourth Piano Concerto in G major,” Op. 58. While listening to and studying his second of the three “Razumovsky Quartets,” I noticed certain similarities this work has with Beethoven’s “Fourth Piano Concerto.” At the opening of the concerto, Beethoven begins with the thematic material stated in the piano alone, and in the tonic key of G major, only to have the orchestra respond with an expanded version of the same theme, except now in B major – a key related to the tonic only by the fact it is the third scale degree in G major. Beethoven had used and would continue to use these same kind of key associations in works like his “Fifth Piano Concerto in E-flat major,” Op. 73, “the Emperor,” the “Third Piano Concerto in C minor,” Op. 37, and his “Fifth Symphony in C minor,” Op. 67, among others. In the opening of the “Second Razumovsky Quartet,” Op 59, No. 2, the piece opens in the tonic key of E minor – perhaps not coincidentally the relative minor of G major – the home key of the “Fourth Piano Concerto.” Beethoven, in the very next phrase, transposes the theme up a half-step to F-major, changing the tonality within the first two phrases of the work as he does in the “Fourth Piano Concerto.” It is also interesting how in the final movement of both works, Beethoven not only segues into these last movements without a break, he also starts these movements in the “wrong key” – not the home key of each work. In the “Fourth Piano Concerto,” he starts in C major – the same key he begins the last movement of the “Second Razumovsky Quartet.” Eventually in both works, at the end of each piece, he ends up in the home keys of G major and E minor respectively. While these are only a few details, they are notable for their parallels, and show how Beethoven was a very careful planner of his key associations and formal structures. Another feature which is very unique in Beethoven’s treatment of key choice in his “Second Razumovsky Quartet” is that the first three movements are in the tonality of E – E minor for the first movement, E major for the second movement, and E minor again for the third movement. Beethoven’s “Second Razumovsky Quartet” is primarily about gesture, motif, harmony, and relatively conventional formal structures. The first movement is in sonata form with the traditional repetition of both the exposition and the recapitulation with a coda. The second movement is an incredibly beautiful molto adagio, which begins with a hymn-like theme, followed by an immediate variation with a “limping” motif under the theme. This is followed later with the main theme accompanied by triplet figures and a lovely counter-melody in the second violin, which returns again towards the end of the piece. The third movement is a scherzo, and the last movement a rondo. What is less conventional is the use of the extreme higher registers, especially in the first violin part, and sometimes the cello, which is often used to gorgeous effect, as in the beginning of the first movement after the first violin “answers” the cello melody twice, and then finally soars in a light, floating melody above the cello and viola accompaniment, with the melody soon picked up seamlessly by the second violin. In the molto adagio second movement, it is impossible for me to believe Mahler was not somehow influenced by Beethoven’s string quartets, and most especially his middle and late-period quartets which in the slow movements utilize rich harmonic textures and half-step voice leading to change the harmony, which is especially present in Mahler’s slow movements of his third and ninth symphonies. I can hear Beethoven looking more than a half-century ahead of his time towards Mahler, especially in the second movement of the “Second Razumovsky Quartet,” and in the slow third movement of his last string quartet – “No. 16 in F major,” Op. 135. In this second movement of the “Second Razumovsky Quartet,” Beethoven looks ahead to the tone of the famous Cavatina Adagio molto espressivo movement from his “String Quartet No. 13 in B-flat major,” Op. 130. In it, I hear the same tenderness and love as I do in this movement, but the “Razumovsky” molto adagio definitely has more scope and dynamic and rhythmic contrast than the Cavatina. The heavy and extremely dissonant chords, especially in the scherzo with its equally daring and ingenious rhythmic and textural originality, with the melody beginning just off the first beat, which leaves a feeling not of 3/4 time, but an unsettled sense of rhythmic ambiguity. This is an even more sophisticated use of rhythmic ambiguity than that of Haydn, with fortissimos off the downbeat, are are also unique features of this piece. Beethoven also masterfully adds a Russian tune, passed between each of the instruments in the “B” section of this scherzo under a busy triplet accompaniment. Beethoven even indicates the theme with the words, “Theme russe” in his score. He also uses an exuberant version of a Russian-sounding theme as the main melodic idea in the rondo of the last movement in the bright key of C major, only to complete the movement in a breathless, dramatically intense “Presto” race to the finish in E minor. The “Razumovsky Quartets” were composed after Heiligenstadt, and in these works Beethoven did indeed live up to his word to “make a new way” creatively as he put it. It is truly remarkable in this composition how much ingenious textural contrast Beethoven manages to create with just four instruments, showing his complete command of string tone color and its brilliant utilization in his compositional ideas. These are just some of many characteristics which make this work anything but a mere continuation of the excellent Op. 18 set, published just 5 years before. Regardless of how much Count Razumovsky paid Beethoven for these three string quartets, what Beethoven accomplished in these works is without price, as all three comprise a true watershed in the history of the string quartet and indeed in the history of music.